This monthu2019s forum competition theme was u2018Non-human lifeu2019 u2013 in other words, any life forms other than our own be this wildlife, microscopic bacteria and so on. 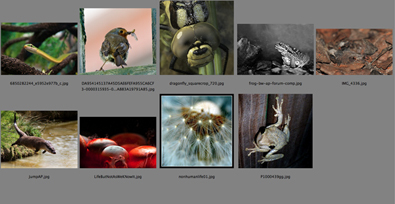 This theme offered scope to get up close and personal with creepy crawlies and all manner of peculiar life forms. Hello! Before we launch into the important task of announcing the results from the June Forum competition I’d like to introduce myself. 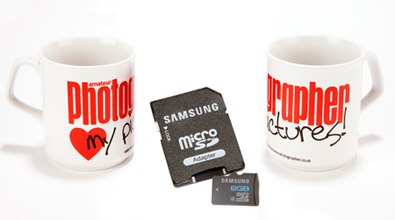 My name is Gemma and I am the former Features Editor at Amateur Photographer magazine. I left AP in April this year to pursue the somewhat precarious life of a freelancer. I still work part time for AP. Damien has asked if I could take on the role of overseeing the Forum competition, which I am delighted to do. Having run the APOY competition for almost two years and been a judge for competitions such as the RSPCA wildlife photography competition I hope I can bring some experience to the role. So without further a do, next stop – the results of the June competition. This month’s theme was ‘Non-human life’ – in other words any life forms other than our own be this wildlife, microscopic bacteria and so on. This theme offered scope to get up close and personal with creepy crawlies and all manner of peculiar life forms. In essence we were looking for bold, dynamic images that grabbed the theme and ran with it. We wanted to see pictures with impact – pictures that wowed us rather than the run-of-the-mill images that lack pizazz. As with every round there are a number of images just outside the top three that deserve a mention. Otters were popular this round as were frogs, toads and insects, and Zx9’s diving otter image was a corker as was RustyKnight’s ‘Toad in the Hole’ image of a camouflaged toad amongst leaves. Yibisu’s frog image, beautifully captured in black and white was a particular standout for me. I love its non-plussed ‘I am not amused’ expression and the carefully considered framing. Finally, Adrian Sadlier’s well-seen robin image with its use of the frame-within-a-frame technique worked brilliantly. I also love the texture of the robin’s feathers and the detail of the (rather unfortunate) bug. Bursting from the frame, Caledonia84’s vibrant, lime-green snake stopped me dead in my tracks. I, like many people, am not the biggest fan of these slithery creatures, so to be confronted by one in this way was not a pleasant experience. But that’s precisely why this image works – it is so convincingly real. I can almost hear the hisses as it flicks its tongue through the air. 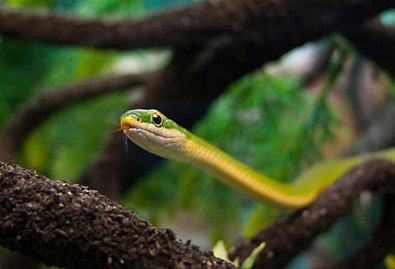 The use of shallow depth of field and framing the subject so its eye is almost central draws attention to the snake, making it look 3-dimensional. I keep expecting it to turn its head to look at me at any moment. The subtle diagonal lines of the snake and branches work well here and help to weave the composition together, while the bright green of the foliage nicely compliments the green of the snake. A great, if slightly scary image. This frame-filling monster is another creature that makes my stomach do somersaults and the hairs on the back of my neck stand up. 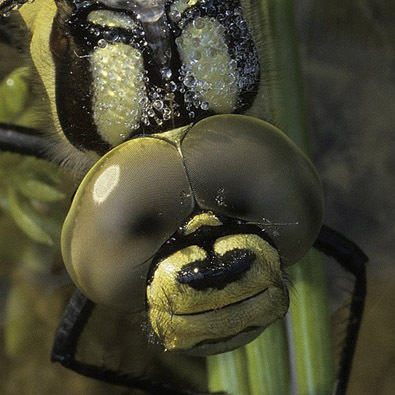 An innocuous, ordinary and completely un-terrifying creature in ‘real life’, this dragonfly photographed up close as it is here suddenly becomes alien-like and menacing. And that is one of the wonderful things of photography – its ability to transform the ordinary into something extraordinary. The tight framing helps to focus our attention on the creature’s eyes and minimizes distracting background details. At the same time the tight crop emphasizes the array of shapes and patterns in the scene. This dragonfly is certainly a million miles away from anything human and actually looks like something from out of this world entirely! I loved this image from the first moment I saw it. For me, it conjures up images of strange sea creatures, perhaps the distant cousins of jellyfish, and red blood cells, photographed with microscopic precision. But that’s not why I like it. Its appeal for me is its ambiguity. I admit I’m not entirely sure what I am looking at (apologies) but whatever it is, it is has me transfixed. 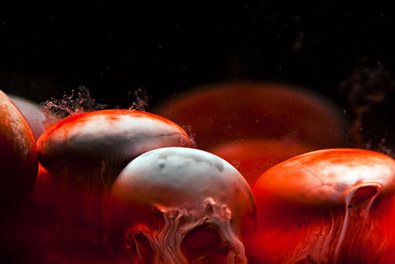 The glistening blood-red colour, what appear to be splashes from the top of the objects and mesmerizing swirling patterns all come together to form a compelling image. Technically strong and nicely lit, the allure of this image is in its abstraction. Thanks to everyone who took part in this round. There are some really excellent pictures and it has been a great pleasure to look through them. There is still time to enter our October competition.